Lock in a great price for Hotel Karukera – rated 8.5 by recent guests! 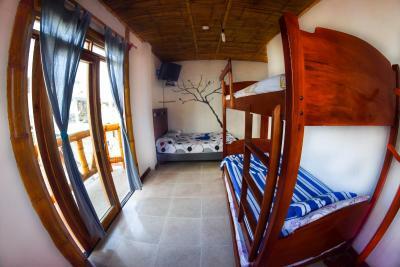 The hotel is located in the center of Montañita town, it’s near absolutely everything. The staff is very nice. The owner, host, and all the staff were very friendly and helpful. We got the biggest in the world welcome smoothy in a fancy glass with straws for all of us. It was nice gesture that created a nice atmosphere around our staying there, They were available at all the time. The location is incredibly central and convenient! Stuff was so nice, we had a great time and the breakfast was delicious. Very close to beach and bars. Está muy céntrico si quieres fiesta día y noche, pero es posible dormir bien, desayunos muuuy ricos, espacios comunes bonitos. El personal muy amable y la ubicación es perfecta, al lado de la playa y en pleno Centro. El ruido de la vida nocturna no se escucha desde las habitaciones, es un lugar 100% recomendable. Montañita ferve a noite, com pessoas jovens e outras nem tanto. 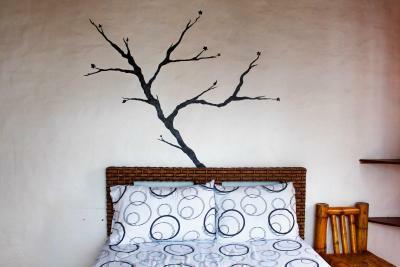 Lugar lindo para descansar, curtir a noite e recarregar as baterias. Praia agradável para caminhar e tomar sol. La ubicación, la limpieza de la habitación y el personal muy bueno. 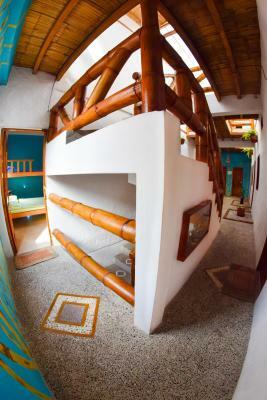 Featuring free WiFi, Hotel Karukera offers pet-friendly accommodations in Montañita. Guests can enjoy the on-site bar. Air-conditioned rooms at hotel Karukera feature a rustic wood décor, they include a fan and a private bathroom fitted with a shower. The restaurant serves both local and international food. There is a 24-hour front desk, a cash machine, a tour desk and gift shop at the property. An array of activities including hiking, snorkeling and tours are organized by the property. Salinas is 30 mi from Hotel Karukera, while La Libertad is 29 mi away. 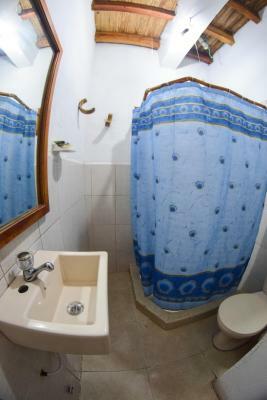 This is our guests' favorite part of Montañita, according to independent reviews. 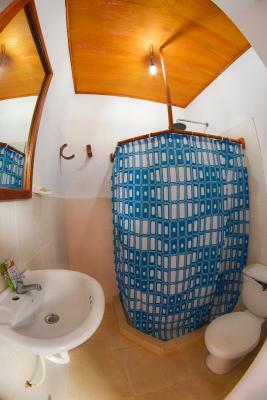 뀐 Located in the top-rated area in Montañita, this property has an excellent location score of 9.3! When would you like to stay at Hotel Karukera? House Rules Hotel Karukera takes special requests – add in the next step! Other Pacific Cash Hotel Karukera accepts these cards and reserves the right to temporarily hold an amount prior to arrival. Hotel Karukera accepts these cards and reserves the right to temporarily hold an amount prior to arrival. They required cash payment!! No visa! This took much of our available cash!